With a Ph.D. in Ecology from the University of California, Davis, an M.A in Energy and Natural Resources from the University of California, Berkeley, and a B.A. in Political Science from Stanford University, John J. Berger has been following the climate change argument for decades. He’s taught college courses on the subject and written pages and pages trying to spread the word. So naturally, he took notice in 2006 when the global warming alarm started sounding at a louder level than ever before. 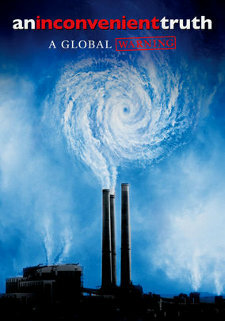 The impetus for that explosion, Al Gore’s Oscar-winning documentary, An Inconvenient Truth, brought some of Berger’s concerns and arguments to the forefront of mainstream media for the first time, turning Gore into one of the most polarizing and controversial figures of his generation. Climate change skeptics immediately rallied, attacking Gore and attempting to discredit him at every turn, but Berger admires the politician’s ice-breaking initiative. Gore has certainly seen a range of consequences for his work on the film, from a Nobel Prize to a life that will forevermore be under the microscope of media scrutiny. But for Berger at least, the former Vice President has played a vital role in furthering the climate change conversation, and he only hopes that more politicians will follow his example.